Data visualization must be intuitive in order for non-IT business leaders to see data patterns. Representing data in a graphical or pictorial format is easy, but constructing the data in the best and most logical way can be tricky. 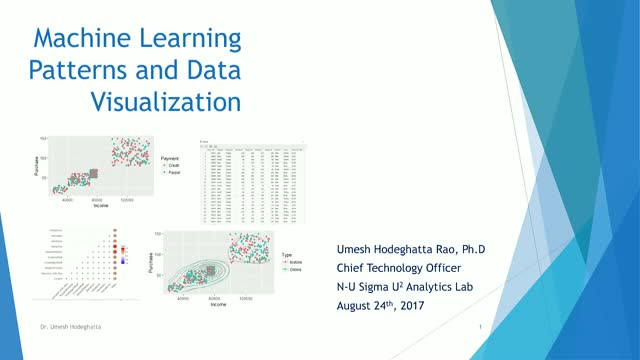 In this session, Umesh will talk about how to represent data simply to make quicker and better business decisions. He will walk through several data visualization techniques through business cases and examples. By the end of the session, you will not only know different data visualization techniques, but also have an understanding of circumstances under which each technique should be used and the best way to represent particular data sets for different business cases.